All of these ASSESSMENTS & SURVEYS have been developed for use with an Audience Response System (ARS), a wireless interactive data gathering technology that works within PowerPoint and converts all results to an Excel Spreadsheet. For more info see the INTERACTIVE POLLING tab under the MINISTRY SERVICES Menu. Available for FREE – DOWNLOAD BELOW! The actual Interactive PowerPoint Presentations are available on the POWERPOINTS page locate in the RESOURCES menu just above this page. Beatitude Test – Be Healthy Attitudes – self assessment survey used as part of an introductory message on the Beatitudes in Matthew 5:3-12. The message was entitled the “Be (Healthy) Attitudes” given May 17, 2009. 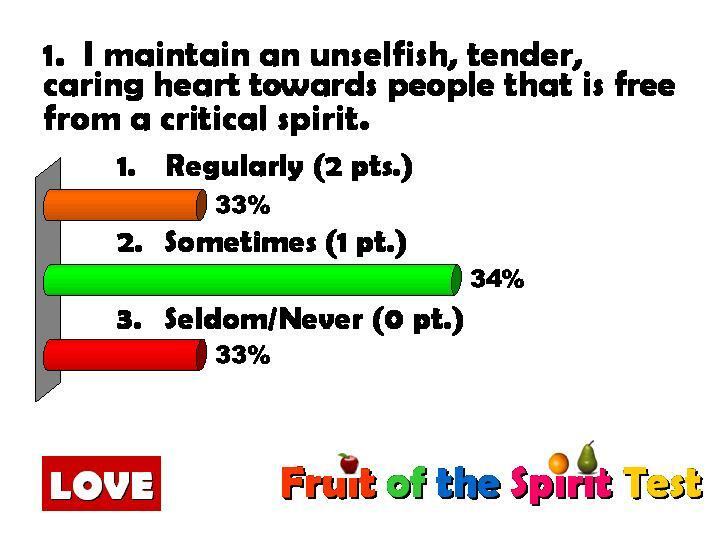 Fruit of the Spirit Self Assessment Test – a survey used as part of an introductory message on the Fruits of the Spirit in Galatians 5:22-23. This message was entitled “Becoming More Like Jesus” given on June 6, 2010. The Generosity Test – a self assessment survey used to gauge a person’s faith in giving. It was incorporated as part of a message on Philippians 4:14-23 entitled “Unlocking the Door to Abundance” given March 16, 2008. The Good Person Test – a very useful tool in convincing people that there are none rightesous, no not one, and everyone is in need of a savior. Taken from a message entitled “Jesus and the All- American” which is a study of the text on the Rich Young Ruler out of Matthew 19:16-30. Spiritual Assessment – a 33 question survey tool, utillizing the same spiritual growth continuum as the Willow Creek Association Reveal Study. Spiritual GPS Assessment – a five question evaluation used to help an individual determine where they are in their relationship with God. Taken from a messasge entitled “Your Spiritual GPS” (God’s Prioritization System) – January 12, 2009. 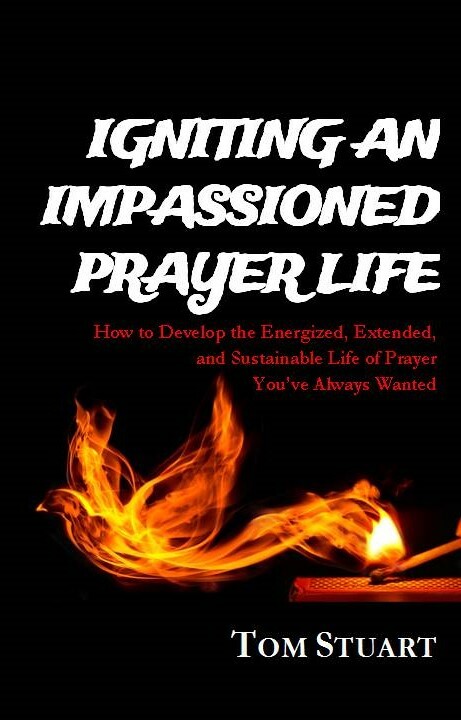 Spiritual Passivity Test – a seven question test used to assess an individuals level of active engagement in taking initiative in spiritual matters. Taken from a message entitled “A Legacy Hanging in the Balance” about David’s relationship with his children and the keys to taking initiative to leave a legacy.